New Planner series with Lindsay Bateman…and a GIVEAWAY! Good morning SCT friends, Lindsay here! First, I am just so grateful to be here sharing what I LOVE with all of you. Beginning the journey of 2016 using my Heidi Swapp Memory Planner this year has never been more exciting. Planner’s are all the rage, and I just love watching everyone embracing their creative side…all the while documenting their lives with photos and words! Truly makes my heart so happy! 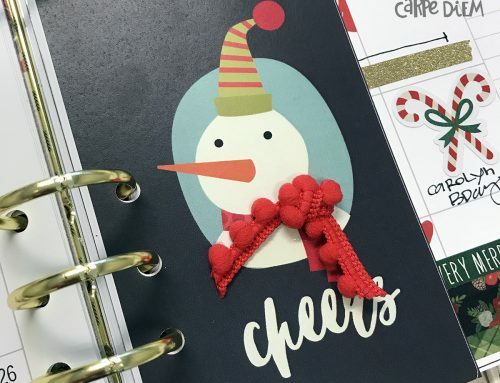 With that being said, I am beyond honoured this year to contribute my creative take and share my own personal planner journey here on the Scrapbook & Cards Today blog with all of you! On the last Wednesday of every month you will find me here… sharing ideas, tips, techniques and inspiration from my planner. I hope you will join me on this journey as I am very excited to share one of my most favourite ways to document and scrapbook my life. You will see that I am such a visual person. I love anything pretty. I love glitter and stickers and words. And I want to SEE it all. The Heidi Swapp 6×8 Planner comes with these wonderful photo sleeves. I adore filling these up each and every month. Even though they are intended for photos, I always seem to fill mine up with other goodies instead. I love to add stickers, 2×2 cards with words or phrases and other cards that I just love to see when I first open my planner. You will also quickly notice my love for Instax prints as well. Yes, I am obsessed and they will fill a ton of my pages in 2016. I will definitely be doing a photo feature one of these upcoming months, talking about all of the different and fun ways to add photos into your planners…so stay tuned! These 2×2 cards are one of my latest planner favourites. These specific ones are by Jen Hadfield from her new collection called DIY Home. They are so fun to add into these photo sleeves. The best part is that they actually originated as one 12×12 sheet of patterned paper. I simply cut them out and popped them in. Aren’t all of the different fonts and phrases just gorgeous? Again, more photos. I can never have or take enough. I love to capture photos here that I have taken close to the first of the month. That way when I am looking back once the year is over I can see just how much has changed….and how much has stayed the same. Here is where I love to capture a “birds eye view” of my life at the moment. I love to fill in daily happenings, little moments, big moments, and just random things that I felt inspired to note.I also love to add in stamping, punches and other embellishments. Again, this calendar page will also be something that will be a feature on one of my upcoming monthly posts. There are so many fun things to do on these pages I cannot wait to talk about them some more soon! Photos! All of the different types and sizes of photos, printing photos, photo sleeves. There are so many fun ways to add in photos to your planner. I cannot wait to talk about this one! Ways to use washi, puffy stickers and other cute icons. The benefits of adding in extra pages to your planner…and how easy it is to do so! Think extra space for MORE STUFF! And last but not least…ways to use up what we’ve got! I know our stash is FULL of so many awesome products (like stamps) that are just begging to be put to use. Stamping in my planner is one of my most favourite things to do, so I cannot wait to talk about that as well. So, in celebration of this new blog feature launch…how about a fabulous giveaway? I have hand selected some of my MUST HAVE Heidi Swapp Memory Planner favourites (along with a beautiful brand new Heidi Swapp Memory Planner) that could be yours! To be entered to win, leave a comment below by Friday, February 19th! Winner will be announced in my next post on Wednesday, February 24th! Good luck! Looking forward to seeing you again in February! My name is Lindsay Bateman and I have an obsession for all things paper. Photographs are my love language. Combining the two is my idea of heaven…and the perfect day all rolled into one. I am a wife of 7 years to an amazing man named Matthew, and in 2014 we welcomed our miracle baby boy, Madix into our world. Navigating this brand new journey of motherhood and documenting our life through photos and words is now what makes up my daily life, and i LOVE it. Scrapbooking is my solitude, my happy place and I truly would be lost without it. I am obsessed with instagram, all things black and white and anything with sparkles! Scrapbooking is not just my hobby, it is my way of life! Traveler’s Notebook spring set up with Layle Koncar! Traveler’s Notebook set up with Layle Koncar! December Planner planning with Layle Koncar! Layle Koncar shares some of her favourite Traveler’s Notebook tips! all the details and snippets of everyday life. GREAT JOB! I’ve been admiring the Heidi Swapp planner lately and so do love the gold and all the goodies to personalize my planner. What a great giveway. Looking forward to your future planner updates. What a wonderful prize! I’ve been debating getting a planner but haven’t quite made the commitment yet. This would be a great way to get started! Thanks for the chance to win. How beautiful! Loving all that gold and floral mixtures! OOOOOOOOOOOOOOOO! How did you know that this is my absolute favorite of all the planners I have looked at? I am in desperate need of a planner but just haven’t been able to afford to buy one yet! LOVE the gold dots and the accessories are deliciousness!!! I am in love with this giveaway and would love to have this on it’s way to me!! Thanks for the chance to win it!!! I am going to keep my fingers crossed super dee duper tightly!!! What a beautiful planner. I adore it! I’m in LOVE with this planner! Your example is beautiful. Thanks for sharing & thanks for the chance to win one. I love her planners. I used it last year and really loved decorating it. Lovely! Thanks so much for sharing. This is really informative to a very new and somewhat confused planner. There are so many products out there it will be so exciting to follow you along as you go thru the many parts of planning. Thanks for the guidance. Your planner is lovely. I think the Heidi has such a pretty style. I would love to win the planner! Wonderful to be so dedicated to your craft. Love everything you have done to make the planner yours! This would be a great way to document my quadruplets senior year in high school. I would be over the moon if I won the planner! Thanks for the chance to win! What an awesome giveaway! Such a cute idea to make a planner and scrapbook all in one place. Love it! Beautiful planner and wonderful use of photos to document your life! Thanks for the inspiration and the chance to win! Beautiful way to use a planner! Thanks for the chance to win! awesome! i love heidi swapp & have really been getting into memory keeping outside of scrapbooking lately! What a stunning planner! So many fun details in your planner! Love it! Love seeing planners in action, your’s is beautiful! Love the addition of photos in planners! Beautiful planner, thanks for sharing yours!! Love what you did with your planner. Thanks for the chance to win one. What a great prize and a way to organize my stressful life!! Love the looks of this planner and the 3 ring binder set up. Love this! Looking forward to the last Wednesday of every month! Love love love all things Heidi Swapp! So excited for the chance to win this beautiful planner and all the goodies that I’ve been drooling over but couldn’t find anywhere! True gems. Oh this planner is gorgeous! I have been stalking my Michaels for Heidi Swapp goodies, she is just so amazing! I love all of your ideas. I have an instax printer and I have been dying to get into a project that I can use that for. So perfect! I can’t wait to start! Your planner is a wonderful combination of calendar, scrapbook, and project life! It will be a wonderful keepsake of the year. Thank you for sharing. WOW what a fabulous planner.. so full of fun. Yours is a segment I will look forward to reading each month! Lindsay– it is so beautiful! Thank you for introducing her to us. What a beautiful planner!!! A great keepsake!! This is too cute, I love the gold! Thanks for the chance to win! to use in our planners! Gorgeous ideas!! I’ve never seen Heidi’s planners look so stunning! I am totally copying everything you did…this is so pretty Lindsay? Oh my, absolutely beautiful planner! I have always been a planner but have always used little paper ones or my computer and it got confusing. I have been trying to decide which planner to purchase. This would be a wonderful start to my ‘planner addiction’. Thanks so much for the chance! Planners are really turning into a great space to capture and keep memories! Lovely prize and great way to document a year. Love! What a beautiful planner. I’m sure I’m not alone in wanting to be more organized. I think that it’s quite a common goal for many at the start of a New Year. Using a planner would certainly help with this but using it in the way you have demonstrated takes it that one step further and adds the fun of crafting. Thanks for the great tips and ideas! I love the addition of photos! Looking forward to future posts by Lindsay. Great new blog feature! Thanks for the opportunity to win such a fabulous prize! VE the way you have “scrapped” your planner! I definately want to do this! thanks for sharing your wonderful idea with us! Love the Heidi Swapp planner! And of course all the goodies that can be used. Would love to win! Love your planner! I also have planner fever! I have my Heidi Swapp planner for daily memory stuff and things going on and another one for art journaling. I am using one the planners Heidi had last year because I ended up with 2 of them but I would LOVE one of her new ones (I didn’t feel I could justify the purchase this year with 2 of the ones from last year but winning one would be a whole other story! LOL) Thanks for the opportunity! Also can’t wait to see what you do for February!! Love seeing how you use your planner! Thanks for the chance to win one. I’m excited about this new monthly feature! I’ll definitely be following along! I love everything Heidi have been following her for years now and I am always searching high and low for all her pretty things. I love her planners and hope I win please! Thanks for sharing this awsome ideas!!! So good to inspire and help to apply on my Planner! And what a beautiful giveaway!!!!! Looks amazing Lindsay!! I cant wait to follow you and your gorgeous planner!! I never thought a planner could look so beautiful and colorful! You are an inspiration to me! Looking forward to all the details and tips for the year. I’ve never used a planner but I see them talked about all over the Internet. It would be nice to win one to see how much I like using it. Love all the different ideas for the planner. Great giveaway! Love using my planner. I have always admired her products but never indulged myself. Would love to organize my life with one of these beautiful planners. I’m new to this but loving it! What great way to start a new year. Oh Lindsay, how did you know? I was hoping someone on @heidiswapp team would do a monthly class/blog. I love your style so much. Thank you SCT for this class. What a marvelous planner,it’s full of so many good ideas! Love the way it came out,I would love to be more organize and today,I’ve learned how to with your class.Thanks and thanks for that nice giveaway! What a beautiful album. I love it. Great prize package as well. Thanks. What a beautiful planner. I absolutely love it. I so want to get into using a planner and have been looking at them and ideas. Beautiful ideas on using a planner. I so would love to win a planner. Thank you so much for a chance. What an awesome sneak peek into your planner! Love all of the creative ideas you have shared here. Well, I live in South Africa now and the shipping of the planner to here is nearly impossible! Very few places have South Africa as an option to ship and most of the cases it never makes it to me! Been trying to get the planner since last year with the ‘hello beautiful memory planner’ but by the time I ordered it it was ojt of stock. I would truly like to have it to record my daily memories. Thanks a million for the opportunity! Love you’re planner. Such a great memory keeper. I love the Heidi Swapp planners so much!And need some ideas for using my current planner as well.This blog post will turn out to be helpful, I’m sure! What a beautiful planner! I just love Heidi Swapp products 🙂 This is the first time I am attempting to document my year with a memory planner. Thank you for the chance to win! Gorgeous planner, thanks for the chance to win! Wow! You’ve got some mad planner skills!! I’ve tried and tried, but can never keep up! Maybe 2016 will be the year to plan! 🙂 Thanks for the chance to win! Beautiful planner. Thanks for a chance to win! Lindsay, I am super excited for this series and to see more of your planner and hear about all your inspiring ideas! This planner looks so pretty. I will definitely keep it in mind for next year since I’ve already got this year’s planner started. Thanks for sharing this beauty and I look forward to seeing more from your planner. Your planner is amazing! I wasn’t sure how they worked as I’ve been seeing them everywhere. I’m thinking I could like these a lot, and such a great way to reflect back on the year! TFS! Beautiful journal. Thanks for the chance to win. I Love anything Heidi Swapp and this Planner. Lovely project with this planner. I can see that this can be a work of art. Thanks for sharing this with us. Your planner looks like something you will treasure and love to look back at for years to come! I just love this new planner and the addition of adding photos! I’m a gold lovin’ girl, too! Anything with / from Heidi makes me happy!!! So much fun! How awesome!!! LOVE The planner; thanks for a chance to win! Your planner rocks! Looks like a ton of fun! Just what I need to shake away the February blues. Looking forward tor your upcoming post ? So much fun and creativity in one place! I am inspired! Awesome project, thAnks for the inspiration! Children are now grown and my life consists of going to work and coming home. The only thing I can think to plan is my diet and food planning……..an area where I really (yes, REALLY) need to plan!! Think this will help get me on track. I would love a planner that not only keeps me organized, but fun and creative. It is a beautiful planner and I haven’t had a planner in my life yet. This is exciting. Can’t wait for your monthly posts. For many years I have wanted to do a journal with my life activities. Will be anxiously awaiting your help. Thanks for the chance. I love what you’ve done with your planner. I would love to win one so I can try and create something as beautiful. I love the planner. Love that you can add photos into the planner. Planners are like diaries. So cool to use. Thanks for chance to win. Great inspiration, thank you for sharing! Love the photo additions to the planner, but with all you’ve added, I can’t wait to see if you’ll need 2 planners for a year. Beautiful work and great ideas. Looking forward to your planner post. Stunning! Love Heidi Swapp’s products, they make me smile! Echoing many of the comments already–love the idea of photos in a planner! There are some things that just cannot be replaced with an iPhone (or android! )–and organizers are one of them! 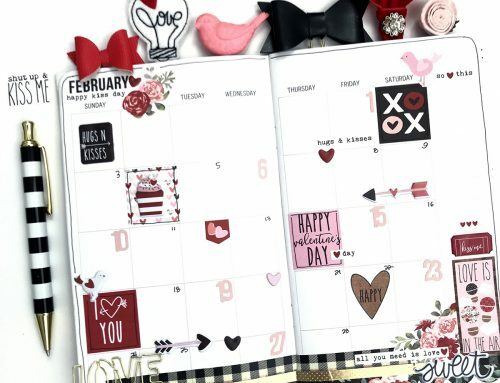 What a great way to combine scrapbooking with calendars. I really like the photos taped into you planner with washi. I like the new feature and wish you the best of luck Lindsay. I hope you will also talk about new planner hole punches or other planner gadgets. Heidi’s planner selection is gorgeous. Nice job! You make it look so easy. Would love to win and give it a try. Thanks for the chance. I don’t yet own a planner. Way too right brained to ever use one well conventionally. But these are much more fun: love seeing all the different things you can do with one. Thanks for the inspiration! Really cute and great inspiration. Im looking forward to your series. I’ve been bitten by the planner bug and I couldn’t be happier 🙂 I’m using a Heidi Swapp black and white memory planner this year and I’m loving it. ( it arrived to late for using last year). Thanks for the giveaway. Thank you for all the fantastic ways you show your life in the memory planner. Your choice of colours are great & with all the different things you use I’m amazed that nothing looks cluttered. Thanks for the giveaway. Loving the colors and details! oh man that would be a great surprise to win the planner!! As a planner lover & memory keeper I’m super excited about this new series! Thank you all for being on point with the evolving needs of crafters! Also, thank you for the awesome giveaway, too!!! Ohhh This is all so new and exciting to me. I can’t wait to get my hands on one of these and start Journaling right away!!! I would love to win this!! Thank you for the chance! 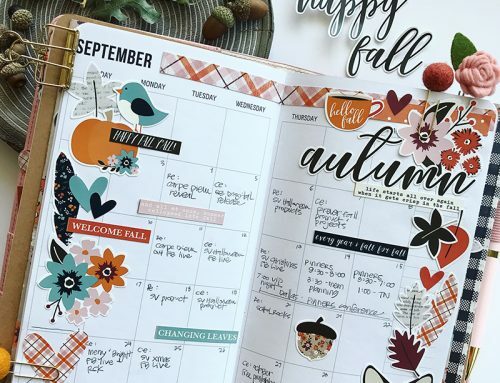 I am in love with her planners—I love her style! that is some planner goodness!! Your planner pages look gorgeous!! Love your planner. I have been using Heidi’s planners for a couple of years now. And this is a great reminder that I need to take some time this weekend to finish up my January stuff and print some photos. Heidi Swapp’s planer is one of my favorites. Love her style. You made such a beautiful planner. What a beautiful planner! I love my planner but have yet to dive into the creative aspects of the planner craze. Looks like this system would be just the ticket. I have been ogling over all these items at the store! This post has given me some crafty ideas! Would love to get started! Love your planner. Thanks for sharing all the little details and ideas! Very inspiring. I would love to win a planner!!!! Your planner looks like loads of fun! Thanks for sharing a fantastic way to use this new kind of planner. I love agendas, have had one since I remember. But, this year has been quite the challenge as I have yet to find a method that helps me get organized. This post is a great reference, and such assortment of goodies, a great gift. Cheers! Wow! Thanks for sharing this with us! I’ve been wondering how people use these planners and I’m excited to see your posts! I always enjoy viewing planners!! Absolutely stunning! Hadn’t thought about putting pictures in the planner. My idea was to keep track of appointments, etc. Another reason I need a planner. Beautiful!!!! Lové thaïs new collection, thanks for a chance to win. Love planners & Heidi Swapp anything. This is beautiful! I’m a bit slow on the uptake of the planner trend, but I sure love what I see! I could get up to speed very quickly if I were to be teh lucky winner today 🙂 Thanks so much, Lindsay! What a fun planner! I love seeing everyone’s beautiful daily works of art!! I have never done a planner before. That looks absolutely gorgeous. Such a beautiful planner! and my fav size. Your planner is so beautiful! Heidi Swap really does have the most beautiful line of planners! I’m thrilled about this new series! 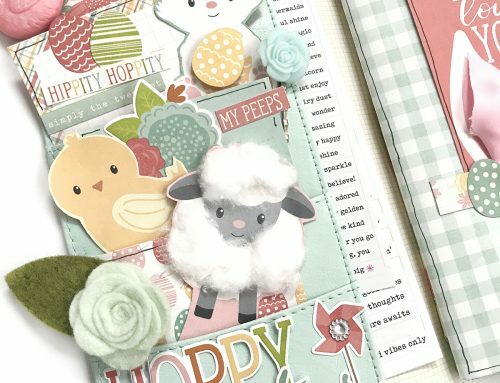 Heidi Swapp products are so gorgeous and so is your planner. I can’t wait to see everything you have to share. Love the planner! Can’t wait to see your ideas. I love Heidi Swapp products and would love to have her planner. Your planner is beautiful! Looking forward to your posts throughout the year. I often start off strong with a calendar/planner and then stop adding in memories etc as the year goes on. Your posts will help keep me motivated and on track! Haven’t tried a planner yet, but I have been admiring them at Hobby Lobby.. thanks for the inspiration and the chance to win! I am a planner junkie, and Heidi Swapp is so lovely. Thanks for the chance to win! This is a wonderful series…so thankful for the great ideas and help for my planner! Having been eyeing this beautiful planner! Love all the ways you use your planner! Aloha! I’m obsessing over all things Heidi Swapp! Mahalo nui loa for the chance to get my hands on a few of her pretty things! So much inspiration, thank you! I think I need a planner! What a beautiful planner! Thank you for sharing your interesting tips! Good luck everyone! WOW….this is just amazing…well done. How wonderful to have every day documented and so many fabulous photos…..Just AMAZING!!! Lindsay, I just love what you do with paper products! I, too, am a visual person. Your design skills are such fun and inspiring to view! You “charge” my papercrafting/planner addiction! Love Heidi Swapp! Thanks for the opportunity to win. Beautiful planner pages! Love your ideas. oh, it’s gorgeous! I cant wait to see more of what you do (esp the use of stamps in planners, as I LOVE small stamps of all sorts). Thank you for the inspiration and the generosity. I love this planner! It is so beautiful! Thanks for the opportunity to win! Thanks for the chance! Would love one of those planners! I’m going on holidays & need a planner so how about it? This would be perfect. What a great planner! Love the hybrid album/planner! I love your planner!! I wish I was that creative! Thanks for sharing yours. Oh wow! Thank you for this amazing giveaway! I love how you decor your planner, Lindsay! Thanks for sharing! eek.. I am so happy for this series on the blog.. I have my Heidi Swapp planner all ready and love how Lindsay is documenting in hers.. looking forward to your monthly planner details. happy happy.. Congrats Lindsay!! So many wonderful ideas. Can’t wait to see how you do it all!! You are an inspiration! I love the idea of using a planner as a way of preserving our family memories-they might contain details that seem unimportant, at the time of writing, but they hold a wealth of meaning. Thank you , I look forward to following . Gorgeous planner! Thanks for the chance! Heidi Swapp always has such pretty products! Gorgeous planner! that’s a very classsy looking planner. Beautiful work! I am truly inspired! Thank you! This is amazing! I would love to win this!!!!! Just love these beautiful planners. I have not tried using a planner yet but I’ve been so intrigued by how people decorate them! These pages are gorgeous! Thank you for sharing, gives me lots of ideas for my planners. This is beautiful Heidi Swapp gift. Keeping track of important dates, events, pictures, happenings would be so much better in this gorgeous planner rather than just written on a calendar on the fridge. I love this!!!!! I love this blog! The book is beautiful as well as the addition and styling of the embellishments. I do not own a planner but love the idea of having one to create my day to day story in while styling and designing one. LOVE thank you for sharing! I love all the different accessories. Not only a beautiful planner but a wonderful memory book to keep for “posterity” in the years ahead. Our generations to come will find out so many interesting things about our lives, loves, etc. What a great opportunity to share with others. Thanks for the ideas. Just what I need! I have two planners and started working with first one and got stumped, couldn’t figure how to move on! Love the ideas you have! I’ve seen so many beautiful planners and all the lovely things that go with them. The creativity that goes into this art is amazing. I love that you add photos in your planner! I don’t even know where to start, and how do you stop?! I would love to try this, and look forward to the regular information and how-to’s. Thanks for giving us a chance to win! I love how you’ve decorated your planner ! Thanks for sharing and for providing a chance to win a beautiful planner! A great planer then you can take the pages, at the end of the year, and use them in your scrapbook…2 for one! absolutely fantastic planner. Wow, I can only dream mine would look like that. thanks for sharing. I agree that you can never have enough or take enough pictures. What a great planner. I could use something like that. I LOVE to be organized. I Love seeing your planner! I have always loved planners and used to decorate mine when I held a job outside the home. What a beautiful idea! I love this planner! Beautiful work and the planner is gorgeous too! You take planning to whole new level when you add all the cute frills! Life long memories are cherished in these planners. Thanks for the peek at how you use your planner. Would love to give it a try. What a fabulous planner. I’ve been tempted to try, this may be the “push” I need. Fabulous planner, such gorgeous pages, something I really must get into this year! Thank you for sharing! My New year’s resolution was to use a planner, so I’m super excited to follow how to make the most of it. What an awesome way to journal your life, you do an amazing job! Such a beautiful planner…..so elegant looking with the gold touches. Maybe this is what I need to get 2016 organized! What a great giveaway. I love the planner and all the layout demonstrations. Thanks for the chance to win! What a beautiful planner and all of the planner accessories just make this an must have. Would love to win this planner and get started on a beautiful memory keepsake. Thank you for a chance to win!!! Heidi’s touch makes everything beautiful! Would be fun to have her brighten the day through the year! Love the way you “color outside the lines”. I need to do more of that. Your planner looks awesome! I have not added pics yet but love to use it to record memories. I’ve actually been doing the pocket size for over 15 years and love looking back at them. Being a scrap booker I am finding all new ways to use my stuff. Oh my gosh… I have wanted to start using a planner and I would love to win this! I would love to win this beautiful planner! Than you for the chance to win. I’m just in love with this beautiful planner. Unfortunately I don’t have one yet but will someday. I am so looking forward to your ideas, tips, techniques that you will be sharing with us. More planner stuff? Don’t need it, but would loove to have it! Thanks for letting us glimpse your planner. Absolutely LOVE what you’ve done with your planner. Thanks for sharing all those great ideas! Wow Lindsay your planner is beautiful!! I have been admiring the Heidi Swapp planner for quite sometime but just not in the cards right now for me. Would love to win it and to learn some of your beautiful tricks! Now off to find you on instagram!! Great job with the planner! I love the gold accents. What lovely planner! Happy to see this section added to the blog. I have jumped on the pretty planner craze – but am at a loss as to how to use all the pretty stuff! Lindsay you are so beautiful and your planner is as well?What an awesome creation! Oh and I too love all things Heidi Swapp! What a beautiful planner set! I haven’t seen them in my local stores yet. I really want to get into memory planning and I just don’t know where to begin. I am really looking forward to following you for inspiration. We seem to like the same things in craft making. I also love glitter, stickers, words, black & white and memory planners. You have done a fantastic job on your planner. It’s a journal, scrapbook and day planner all in one! Brilliant! I’d seen these in stores, but not actually in action. Yours is lovely… and fun! Love all the details to add to a planner! Wow, how is it that I haven’t come across these before?! I love this idea and it would be a great outlet for my need to create. Fab idea with loads of ways to use it. If I don’t win it I might just have to ask for one for a present, but I hope I’m in with a chance! How sweet is this set? Love your work! I love this planner! The gold polka-dots are so cute, and I love the ability to personalize the planner the way that fits you best. Awesome! this is the first planner project that has inspired me to try my own. Winning the goodies would be a great inspiration to get started. I am so excited about the upcoming blog on Scrapbook & Cards Today. I am new to planners and love the idea of getting information and tips on how make my planner not only functional but also fabulous!! I hope I win your giveaway. What a great way to learn how to have fun with my planner. This definitely beats the family scrapbook calendar. A much more complete yearly history. Looking forward to new planner series. I love using my planner as another tool for memory keeping. Love what you have done with your Heidi Swapp memory planner. I thnk this is a great planner! I’ve never made one and this kit would be a fantastic one to start out with. Love the creativity in the planner and how everything seems to go together. Thank you for the opportunity to win! Thank you for the inspiration; I just might have to jump on the planner trend…..love what you have done with yours. Thank you! Love how you can keep well organize with a planner. A lot of wonderful photos of your planner. Thanks for sharing how you use yours. I have not used a planner before so this would be great to start with. Thanks for the opportunity to win. I am so excited this is my first year designing my own planner. Yours is very inspirational! What a fabulous planner!! I love the photos in it- thank you! What a creative way to plan….and quite an upgrade from my Franklin. Terrific giveaway of some really beautiful (and useful) products. what a gorgeous planner and lindsey you are a doll! thank you for sharing your ideas and creativity with us! I would love to win! Great post! Thank You for sharing so much creativity within a personalized PLANNER! Love this planner! Fun and neat way to capture life! Thank you for sharing your memory planner pages with us! I love your use of photos!! thank you so much, I would love to win! I have started a planner for 2016, but need some ideas. This is perfect!! I did one for 2014 and it sure brings the year to life. What a beautiful planner! Thanks for the opportunity to win one. Always wanted to have a planner and yours is a great inspiration to start one! I love planning!! And I love scrapbooking!! So put the both together and I am in heaven!!! LOVE this! I’m looking forward to this series and seeing your planner. Wow I love your planner. I often catch myself smiling at something my son foes and you have inspired me to start capturing those moments. Love the colour combos in this planner! Thanks for the ideas for the planner pages and dates too! Gorgeous! Lots of beautiful options! I love this! It’s gorgeous and would be a great gift! I just started to get into planners this year and am having a ball! I love adding photos to my planner – kinda of a mini scrapbook of memories! Thanks for the chance to win. Oh how I love this planner!! Absolutely BEAUTIFUL!! Now this is what I call life in action!! Thanks for sharing yours with us and for the opportunity to win a Heidi Swapp planner!! I will be dreaming or should I say “planning” in the meantime!! Kim Z. You make it look so easy, fun and practical! I’m looking forward to reading more about your ideas for planners! Outstanding ideas Lindsay! What an awesome way to keep track of all the details of life- big, small and everything in between. It goes so fast and this is such a great memory keeping venue!! P.s. I love Heidi Swapp and her products! I would love to have this planner!!! Love your ideas! Can’t wait to incorporate them into my planner. Great ideas, Lindsay. Thanks for sharing! Beautiful Planner! Thanks for the chance to win!! Love, Love what you have done with the Planner. So pretty and feminine. Absolute gorgeous idea for a fun-filled year for my Grade 12 daughter! Hmmm… a Grad Gift! Thanks so much for the inspiration and possibly… a chance to win! This just so grabs my attention. Life has been so difficult with many family losses including my precious daughter that something like this easy and fun to do would be right up my alley. I want to keep on recording life and this has inspired me. I liked your excitment it was catchy. I would love to win this and get started. Thanks for the opportuntity SCT your awesome. Just getting the hang of my planner. Thanks for all the ideas. Heidi has got Planners down!!! Thank you Lisa Bateman for sharing so much about yourself, and one of her fabulous planners with goodies too!! Love that you share so many of my interests and that you include those adorable pics in your planner! You are so talented Lindsay. I am in awe of the creative ideas for planners! I love the planner documentation. Makes my daily life feel more fun! Love this stuff! Absolutely love what you’ve done. Have been considering many planners. This one looks amazing. Can’t wait to see your future posts.